Join us on November 12, where Diana Crisman Smith will give us some pointers on conducting research in the Midwest in her presentation Little Houses on the Prairie: Midwestern Research Techniques. Description: Do you have Midwestern ancestors? Have you found them difficult to research because they are "different" from New England, or the south, or...wherever? There are some tricks and techniques which make researching this region less intimidating. Diana Crisman Smith grew up a Midwestern girl, living in Iowa, Kansas, Wisconsin, Illinois, and Ohio. She has been working with clients for more than ten years, as well as teaching and presenting to a variety of organizations across the US (and at sea) for over twenty years. She has written for print and online publications including APG Quarterly, NGS Magazine, Genealogical Computing, Digital Genealogist, Journal of Online Genealogy, Heritage Quest, Everton's, and others. She and her husband Gary have established Smith Genealogy Services through which they serve clients, present to audiences of all sizes, and write for genealogical publications. 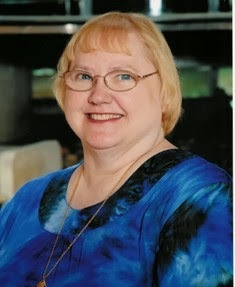 She is active in numerous genealogical organizations, serving as current or past Board member of ISFHWE (International Society of Family History Writers and Editors); the Genealogical Speakers Guild (GSG); and the Association of Professional Genealogists (APG), as well as several local organizations. Recording and Handout Available to ISGS Members: For ISGS members who cannot attend the live webinar on November 12, a recording of the webinar, along with the handout, will be made available in the Members Section of the ISGS website at http://ilgensoc.org/members.php. If you're not already a member of ISGS, visit Join ISGS! at http://ilgensoc.org/cpage.php?pt=8 for more information.